It is very rare that Fox News report something that gives black people the respect that they deserve. Lets just call a spade a spade, Fox News is probably the most racist television station not only on earth, but in the universe. They might as well have the Ku Klux Klan as news reporters. But even in darkness, sometimes light can shine through. Well what exactly are we talking about? 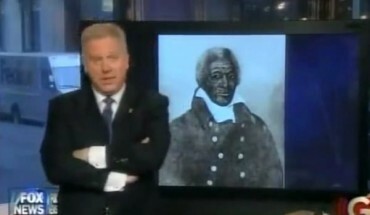 Fox News anchor Glenn Beck did some research on who really founding this country. What he came up with was astonishing. Like most people, he was taught that black people were only slaves in the United States and really didn’t contribute anything to the country other than being a slave. After doing his research, boy oh boy was he wrong. He was so surprised that he decided to contact historians on why information like this was left out of the history books. I salute Glenn Beck of Fox News for not being scared to report this on Fox News. Watch it for yourself.